Can you imagine your smartphone, tablet PC, router, repeater, or any other mobile device or desktop computer without being Wi-Fi enabled? Probably not. Ethernet's cumbersome cables are quickly becoming relics of our wired past. One of the first things to verify in the specifications of a mobile device you're thinking of buying is whether it supports Wi-Fi. Chances are almost 100 percent that it does — but because Wi-Fi opens the door to installations, tweaks, updates, and communication, doublechecking is worth the effort. You might want to go one step further when it comes to specific hardware like repeaters and routers, though, because of Wi-Fi's various versions. 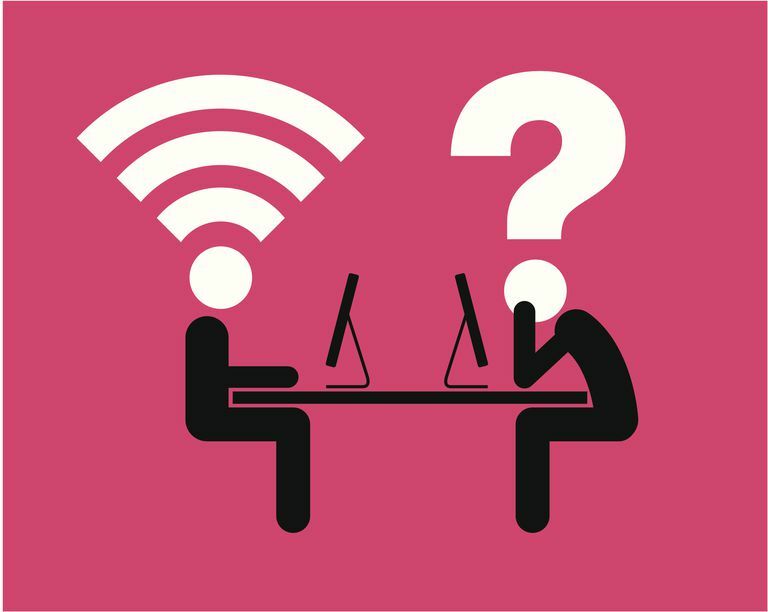 The access point that generates a Wi-Fi hotspot, such as a router, and the connecting device need to have the same versions for connection and transfer to succeed. In nearly all cases, backward compatibility ensures such devices can "talk" to each other, but a problem lies in limitations. For example, if you have the latest Samsung Galaxy that supports the latest version of Wi-Fi — ready to accommodate speeds in gigabits per second — but you're connecting it to a network with an access point that supports an older, slower version of Wi-Fi, your shiny smartphone will be no better than any other older phone in terms of connection speed. Wi-Fi works in two different frequency spectrums: 2.4 GHz and 5 GHz. The latter offers a larger range and faster speeds, but it's less reliable than the former. If a device that works only on the 2.4 GHz spectrum tries to connect to one that works on 5 GHz, the connection will not succeed (although it likely will work in the reverse). Fortunately, most modern devices work with both spectra. Therefore, you can have potentially good hardware and software for a fast connection, but it winds up being slow and of low quality only because of some incompatibility somewhere. In this case, you may want to change some settings, or simply change an adapter or a device. 802.11 — The first version, launched in 1977. It is now no longer used. It worked on 2.4 GHz. 802.11a — Works on 5GHz. Speed, 54 Mbps. Has difficulty passing through obstacles, hence has poor range. 802.11b — Works on the more reliable 2.4Ghz and gives up to 11 Mbps. This version came around when Wi-Fi exploded in popularity. 802.11g — Released in 2003. Still, works on reliable 2.4GHz but increases the maximum speed to 54 Mbps. Many devices are still running this version with success because it is cheaper to implement. 802.11n — Changes in network technicalities and transmission mechanisms increase the speed to up to 600 Mbps, with some other advantages. 802.11ac — An improvement of the previous standard, making better use of the 5Ghz spectrum and giving speeds well beyond 1 Gbps. 802.11ax — This improves 802.11ac to increase the speed greatly, theoretically reaching up to 10 Gbps. It also increases the efficiency of WLANs.